Feeding your toddler is not an easy job. Feeding your toddler is not an easy job. This is one of the most crucial times of a child’s life when he develops his likes, dislikes and food preferences. This often leads to inadequate intake resulting in poor growth and development. Reading books or taking ideas from fellow parents is not always helpful as each kid has his own preference and interest. So here is a complete guide to help feed a toddler with some super easy hacks. Whole Milk: Milk is rich in good quality protein and calcium, both of which are extremely important to support the growth and development of the child. Protein helps to build up muscle tissue, whereas calcium helps in bone development. Whole Grain Cereals: During this phase of life the energy requirement remains very high and to support that, whole grain cereals must be included in the diet. Besides, the outer layer of grains contains fibre along with multiple beneficial vitamins and minerals which make it one of the major components of toddler nutrition. But avoid polished and processed grains and incorporate all natural and unprocessed cereals such as whole wheat, rice, quinoa, maize, oats, and millet in a toddler’s diet. Fruits: Due to their high content of vitamins, minerals, water and antioxidants, fruits are an extremely important component of toddler nutrition. Soft fruits such as melon, papaya, banana, mango, etc can be given at the first year of life. Fruits such as apple, pear, and guava can be introduced in boiled and mashed form. 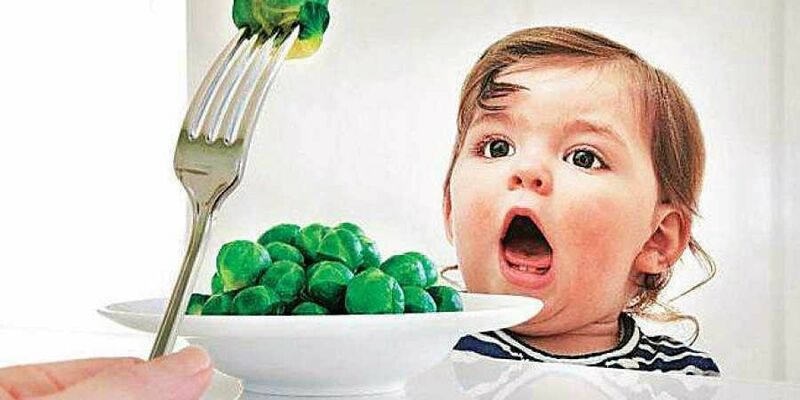 Veggies: This is the best time when you can build your kid’s habit of eating vegetables. You can soft-cook colourful veggies such as spinach, carrot, broccoli, red cabbage and serve them together. Eggs: Eggs are not only rich in protein and good fats but they are also an excellent source of vitamin A which is highly needed for the eye health of the toddler.Yogurt: Yogurt is a probiotic that helps in better digestion. Also protein present in the yogurt helps in growth and development. Iron-fortified Food: During this phase of life along with holistic growth and development, blood volume also increases. The increase in blood volume and haemoglobin needs a good amount of iron supply. Apart from dark green leafy veggies, iron-fortified cereals, dates; etc should be included in the daily meal plan.